Guys! Meet Julie from Street Lily, she’s bringing us some tips all the way from Milwaukee, Wi! 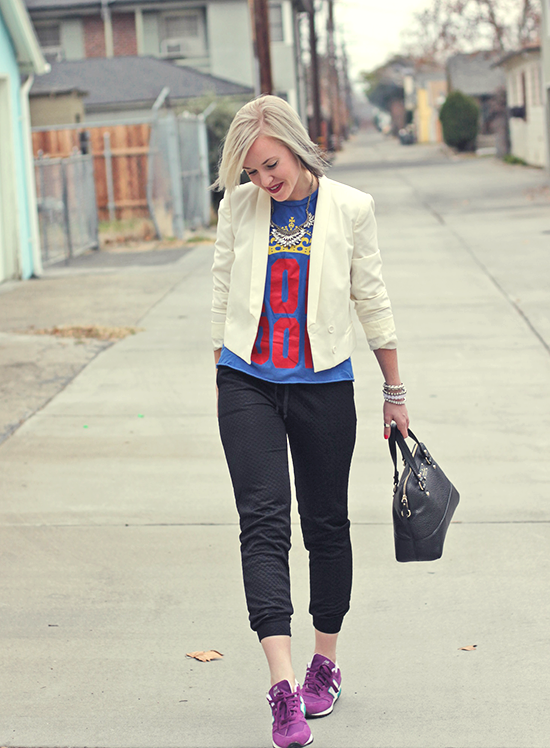 We’re here to show you two ways to style a pair of sporty sneakers. Julie is rocking here black Nike’s and I’m wearing my purple New Balance’s. Julie’s outfit details: Faux Fur Forever21 // Sweater Kohl’s // Lace Tank J.Crew // Leather Leggins Forever21 // Shoes Nike // Bag Forever21 // Beanie H&M Try grabbing a bold graphic tee with a structured blazer to help dress up the potentially slobbish sweatpants and sneaks. Take a que from Julie: try adding leopard, lace, leather or a pop of pink! Not into the white blazer idea? 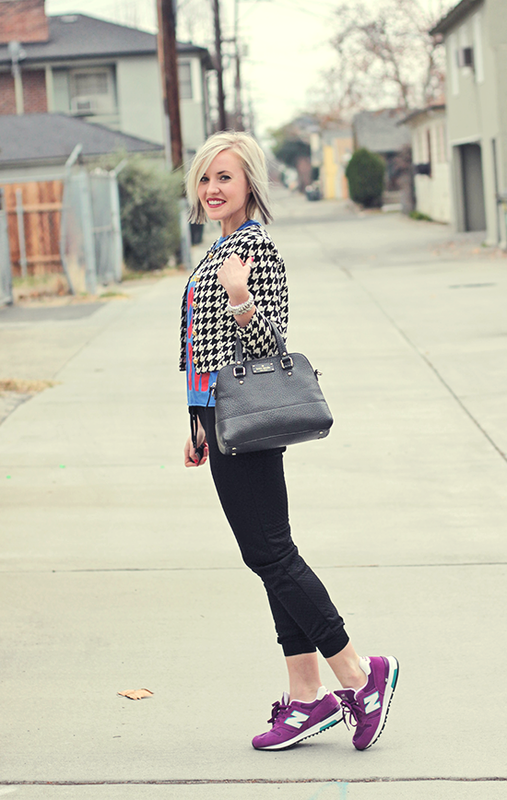 Try out herringbone to give this dressed down look a splash of sophistication! 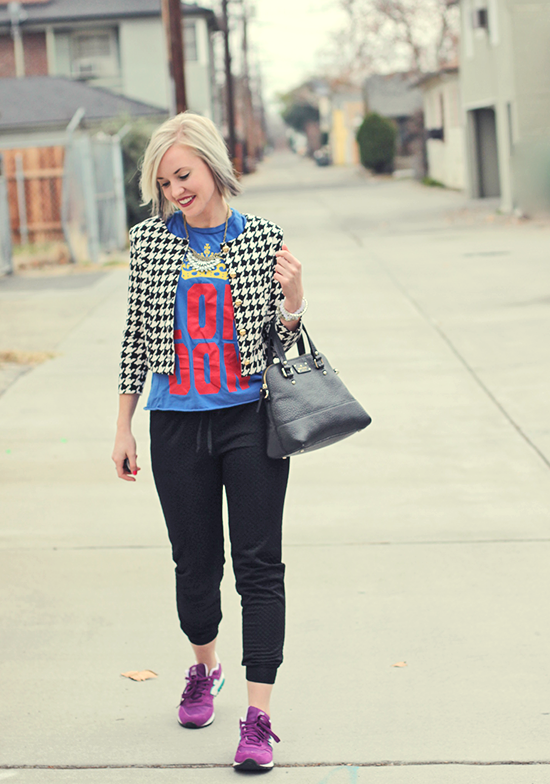 my outfit details: quilted sweatpants: Forever21 // top: Urban Outfitters (simliar) // blazer white: Urban outfitters (simliar) // blazer herringbone: Forever21 (simliar) // sneakers: New Balance I hope you guys enjoyed and now have some inspiration to try out a sporty chic look with your favorite sneakers! What a cutie!! 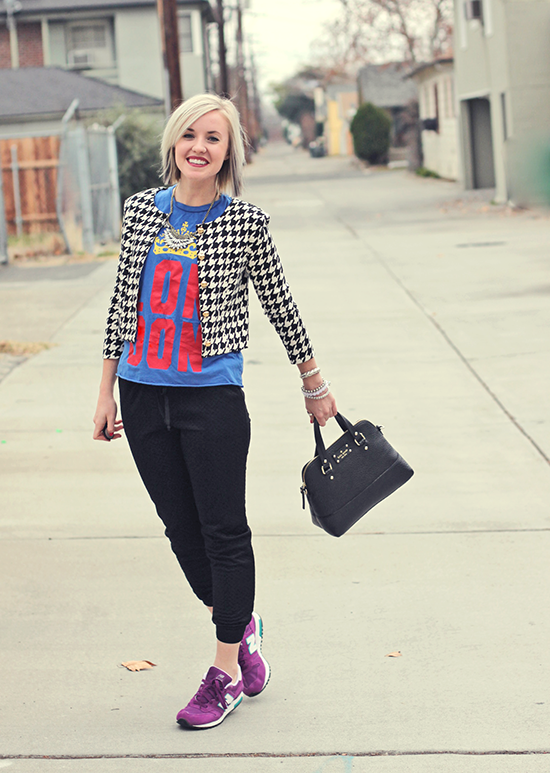 Love both her looks and she definitely rocked the sneakers with this trendy outfits! 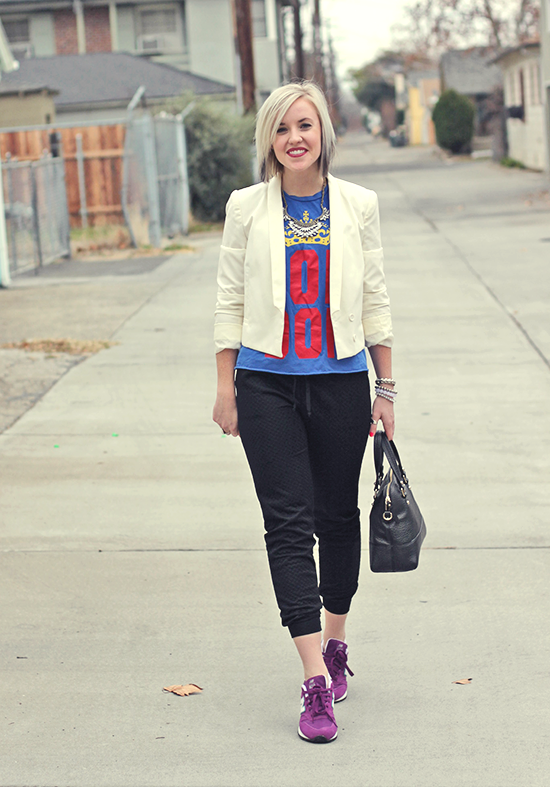 Love these chic looks with sneaks. I’m in love with those burgundy ones. Such a cute post! I love how you both styled your sneakers! Really great post! Love how you pulled off the sporty yet very chic look!! Oh my! I love that white blazer with the purple sneakers. You still look comfy, but put-together at the same time! 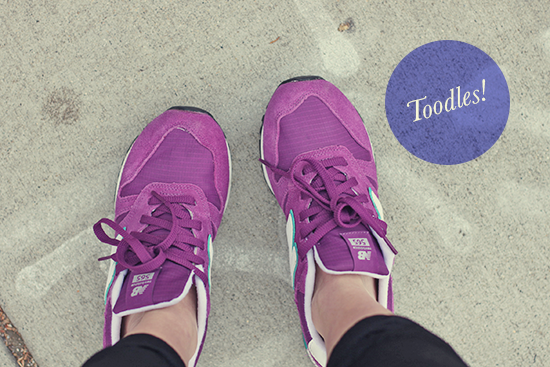 I’m so impressed with how awesome (and cute) you two have made sneakers look! You are both so stylish. I need to wear my bright Nikes for more than just running. Outfit inspiration!